Humans and Transformers are at war, Optimus Prime is gone. The key to saving our future lies buried in the secrets of the past, in the hidden history of Transformers on Earth. Saving our world falls upon the shoulders of an unlikely alliance: Cade Yeager (Mark Wahlberg); Bumblebee; an English Lord (Sir Anthony Hopkins); and an Oxford Professor (Laura Haddock). There comes a moment in everyone’s life when we are called upon to make a difference. 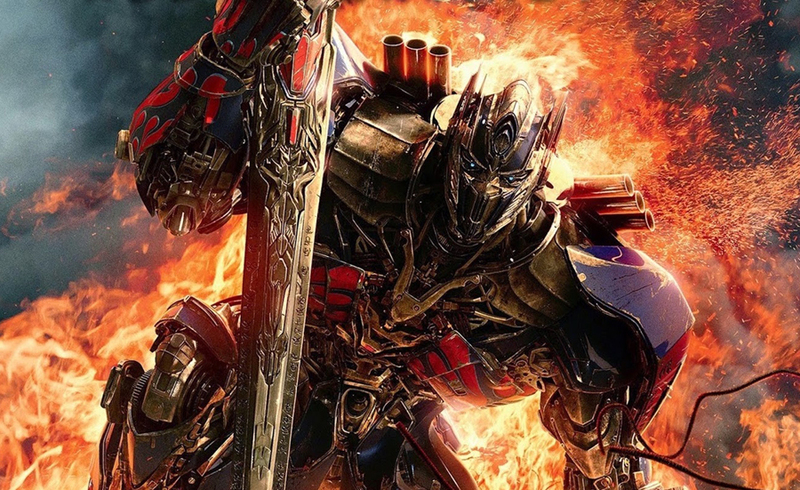 In ‘Transformers: The Last Knight,’ the hunted will become heroes. Heroes will become villains. Only one world will survive: theirs, or ours. Michael Bay once again directs this fifth installment of the live-action adaptation of the popular Hasbro toy line. The screenplay was written by Art Marcum, Matt Holloway and Ken Nolan, from a script by Akiva Goldsman. Tyrese Gibson, Isabella Moner, Stanley Tucci, John Turturro and Josh Duhamel also star. Lots of explosions at least with Mr. Bay on the job. Guilty pleasure with no substance.